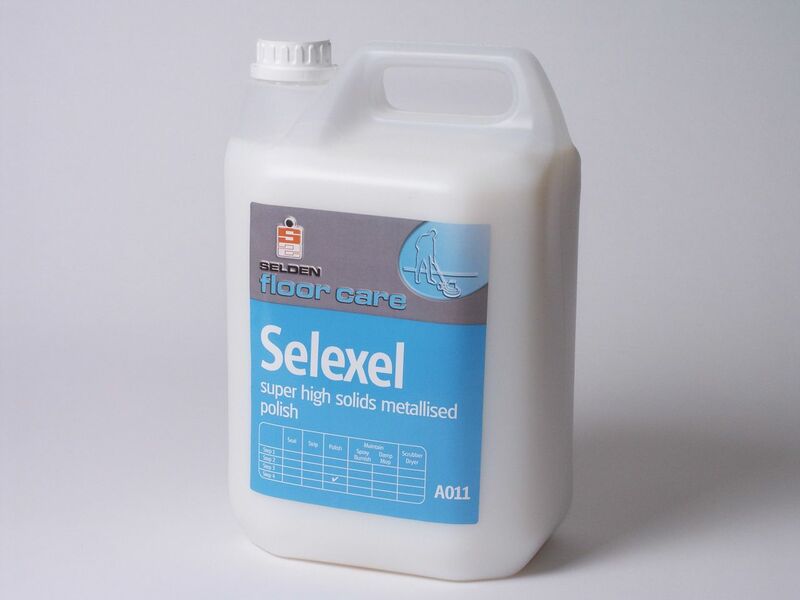 Selexel must be applied to a clean grease free floor. Strip old polish with Selstrip or Selate then rinse thoroughly with clean water, allow the floor to dry. 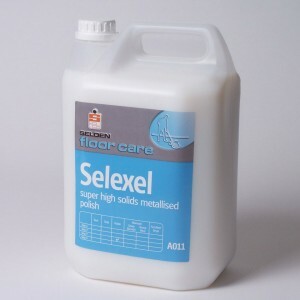 Apply a thin even film of Selexel using a clean lint free mop or applicator. Apply a second coat when the first is dry (approximately 30 mins). May be buffed as required to enhance gloss. COVERAGE: 60 square metres per litre. 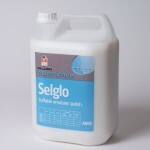 MAINTENANCE: Damp Mopping: As required using Lemon Floor Jell or Selclen. 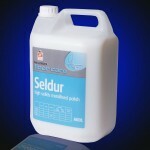 Spray cleaning/burnishing: Regular use of Fast Lane or Selsheen will enhance appearance and life expectancy.